For the past few months, I have been swamped in client work working in my business not working on my business. During that time, I decided that I wanted to change my business and the first thing is to spend more time building my own email list. We all know how important it is to build your email list so you can create a connection with your audience. A connection that is deeper than social media can provide. I tell the people on my list way more than I share anywhere else….things about me and my business. There are so many ways to build your email list so finding the one that works for you is key. Creating a freebie can take time but what about quizzes? I have had several clients ask about adding a quiz to their website. They think that adding a quiz will help increase the number of their subscribers. There would be some research but no one would do it because it was such a complicated process. I couldn’t believe the ease of use with Interact Quiz Builder. They have quiz templates set up so you can easily edit the content in your voice so it speaks to your audience. I love the templates because I will often sit in overwhelm when it comes to creating new content. Instead of overwhelm, I picked a quiz and edited it. Here’s a video I made to show you just how simple it is create your very own quiz. In addition to being super easy to set up, they give you step-by-step training on how to set it up and customize so it is unique even if you use the pre-made templates. You can customize the text, colors, fonts, and images or make your own quiz from scratch without any fuss. 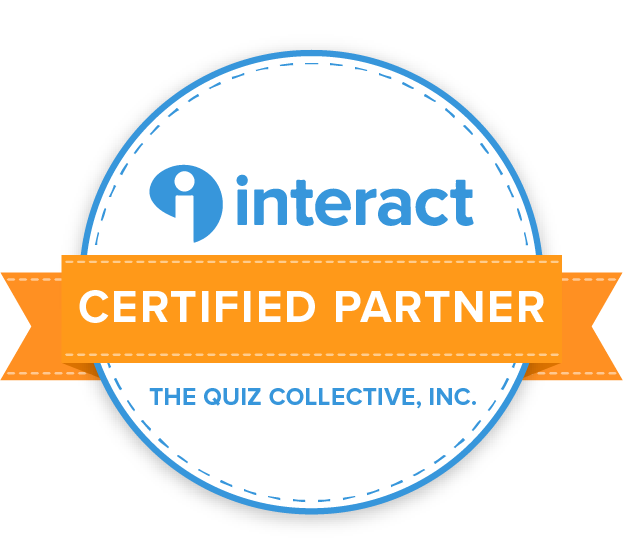 Instead of trying to determine what freebie to create and then spending hours trying to write, format and set up, try Interact Quiz Builder instead. You will absolutely love it, just like I do. Once you set up your quiz and add it to your website you can share it on your favorite social platforms, add it to the bottom of a blog post, or add a hello bar to the top of your site. There are so many ways to connect with your audience. Before you know it, you will be building an email list without having to obsess over what to create next. Are you ready to build your email list with quizzes? I’d love to know what you think if you do try Interact Quiz Builder.